Life has been difficult lately, so when I heard this analogy given by my stake president at Stake Conference on Sunday, I had to share because it really inspired and uplifted me. He talked about what happened during the Pearl Harbor attack on the United States December 7, 1941 when hundreds of Japanese fighter planes attacked the American base near Honolulu, Hawaii. The surprise attack devastated the naval base there, destroying 20 vessels, including eight battleships, and more than 300 planes. Worse though, was the more than 2,000 Americans soldiers and sailors that were killed and another 1,000 wounded. It was the most stupendous and swift conquest in the history of war. It was a day that would live in infamy. Sometimes, the peace in our lives is shattered the same way. A surprise attack by dark forces, nature, or man causes some sort of tragedy, or a series of tragedies, such as debilitating illness, financial setback, loss of job, physical damages, wayward children, death, accident, depression, or a myriad of other terrible hardships. When this happens, we can feel overcome, beat down, depressed, and lose hope. We experience our own days of infamy. Though it is normal to grieve, get angry, or feel God is not blessing us when life smacks us down, what determines our destiny is what we DO afterward. Do we wallow in misery, or do we get back on our feet and go to work? Indeed, the United States of America awakened and was filled with a terrible resolve. Pearl Harbor united our country, and the U.S. finally entered World War II. The nation rallied and came together–men entering into their country’s service and women going to work in the factories to help the war effort. Families scrimped and did without as the “dragon” awakened and resolved to set things right. How can we “awake” and “resolve” to get to work after life throws an attack at us? In the Book of Mormon (2 Nephi 1:13), Lehi pleads with his children to awake from a deep sleep so they can be saved. Though I’d never seek out trials and challenges, they do provide a wake-up call that sometimes we sorely need. The United States might have dragged their feet or not ever entered the war if Pearl Harbor hadn’t happened to wake them up to the danger surrounding them. The world conflict became very real to them, and they had to switch directions and make different choices to survive. Afflictions do the same to us. Hardships and catastrophes in our lives can force us to examine our lives more closely and make needed adjustments or different choices (that bring about greater good) than we previously did when all seemed well besides a few dandelions along our path. In 2 Nephi 4:28-31, Nephi seems to be experiencing his own days of infamy. He gives himself a pep talk though instead of wallowing in his afflictions. Wallowing doesn’t allow forward progress. Nephi knew he had to awake and shake off the crusty chains of his afflictions. We can do the same. One day when I felt especially weighed down by my afflictions, I knelt in my closet and poured out my heart to Heavenly Father. I listed out everything that had gone wrong over the last few months and told Him I was wearing thin. I pleaded for a breather. I knew even as I whined that others had it harder than me, but my burdens felt heavy to me, and each day seemed to bring another setback that put me closer to snapping. 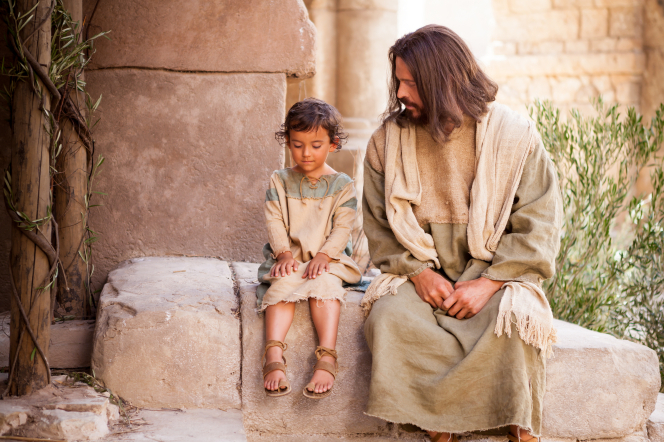 Nephi’s words popped into my mind—not to slacken my strength because of mine afflictions–and suddenly, my whining stopped. I began thanking God instead, and as I did, my whole mood changed. Gratitude filled me for the blessings I still had, and for the deeper understanding I had gained of some of these truths I had taken for granted before my trials. I thanked Him for the plan of salvation that made me know this life wasn’t the end. Whether I lost a particular family member to an aggressive brain tumor or not, I knew everything would be okay. I thanked Him for the knowledge that families continue into the next life because of the sealing power restored to the earth and used in God’s temples. I thanked Him for my body–for my hip that had healed from its surgery–and that I could now walk without pain so I could do all the things that were required of me. Then I told God that I didn’t like all the trials piling up on my plate, but I believed He would work everything out for my good in the long run. And as I voiced my belief and testimony to Him, peace filled my anxious, worried heart. I remembered all the times He had answered my prayers in the past (though sometimes it took years before I realized He HAD answered me), and I knew He would answer and comfort me again. I had no doubt about that. My afflictions didn’t go away. In fact, a few others have popped up since then that have tested my “resolve.” But I don’t feel the fear and worry that almost paralyzed me before. I know God will somehow—in His way and in His time—answer my prayers and help me overcome my afflictions and triumph over my days of infamy. History showed that the United States of America eventually triumphed soundly over their enemies after the horrific Pearl Harbor attack awakened them. When we glide along in life without any troubles, we can ‘fall asleep.’ Days of infamy startle us awake us and force us to make a choice. Will we wallow in our woes, feeling sorry for ourselves and eventually drown in our troubles? Or will we awake and turn to God for help? Days of infamy will surely come in this life, and when they do, the world will seem dark and hopeless. Smoke from the destruction will block out the sun and make your soul grieve. But these days don’t last…at least they won’t if we choose not to wallow and cling to the clutter, burning embers, and charred ruins of our afflictions. The bleak days of infamy will eventually fade as the sun (our Lord and Savior Jesus Christ) shines through the clouds and we see clear skies once again. If we trust in God, we will always triumph. That is His promise to us, and He never breaks His promises. This is beautiful, thank you! I will be doing my post on Thursday this week. Sorry I’m a few days late!